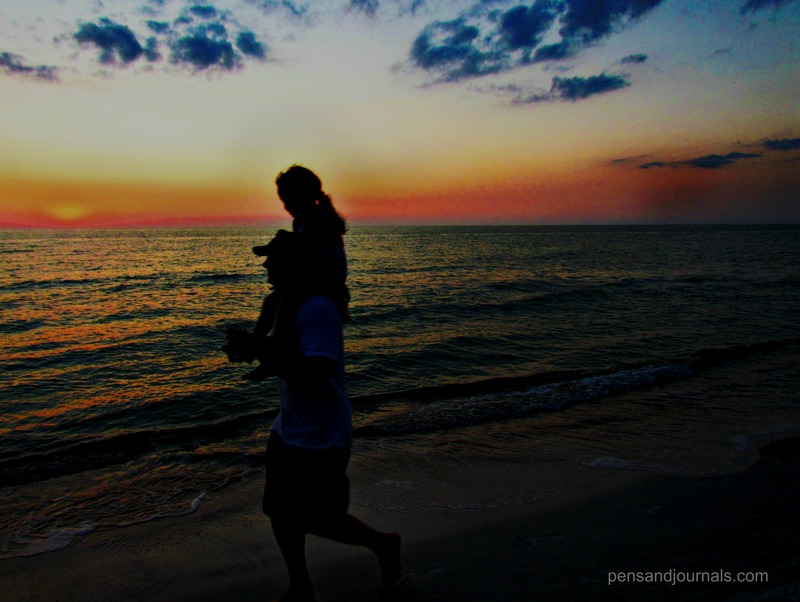 Like a good daddy he whisks her up into his arms and gently places her on his shoulders. The evening is fading and the sun begins to withdraw behind the horizon. Darkness isn’t far behind. But she’s safe; secure in her father’s embrace and her fear subsides. He sprints across the shore with confidence because he knows the way and she trusts him. Love this. And this is one of my favorite verses. The picture is so touching too. Love this and my favorite Scripture! Thank you for the comment, Lorna. I’m glad you loved it.